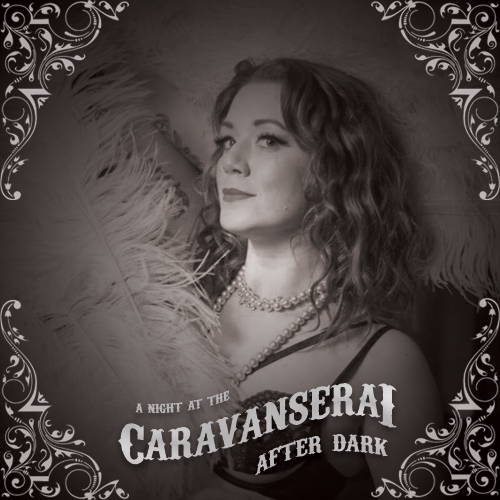 Seraka Dance Company presents (after a 2 year hiatus) its 5th production of A Night at the Caravanserai: After Dark – a mesmerizing evening of eclectic and inspired performances of belly dance, as well as burlesque, hooping, magic, jazz, and general shenanigans. Voted Top 5 Dance Events in The Overcast’s Best of St. John’s Survey for 2014. One night only, not to be missed! The magnificent Christopher D’Arcy Dunn will be your master of ceremonies, guiding you from act to act with his wit and charm throughout this evening of vaudevillian variety with performances by Seraka Dance Co with special guests JThe Island Belles, Stephanie Moyst, Here Kitty Kitty Burlesque, Kara Pender, Army of Sass, Ainsley, Honey Fury, Michael Connway, Andrea Roberts, AlleyOop, and Fashionista Jones! Please bring your printed or digital ticket or QR code to the door. No ticket, no entry. Fashionista Jones has warmed her way into the hearts of Newfoundlanders the past 3 1/2 years. Through Tv, Casino, Theatre and Stage, Fashionista Jones always bring to the game, glamour, fashion, face and pace with her killer Lip Sync Style. She is a legend in her own right, A queen who inspires, and a fierce queen at that. With a 14 year career in the biz Fashionista Jones never disappoints, and will always reign supreme when it comes to the body, mind and spirit. 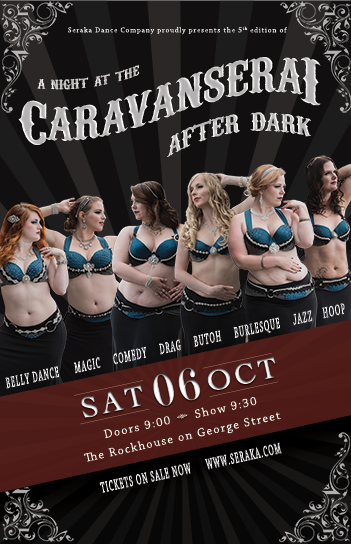 Island Belles are a performance based troupe who are hoping to spread awareness about the amazing art form that it Burlesque. With a combination of new faces and experienced performers these lovely ladies are devoted to providing the best performances possible and that’s just what they do. This troupe has a little something for everyone, so keep your eyes out for up and coming shows because these girls are headed for big things. Ainsley is a dancer, writer, and researcher who has taught and performed Middle Eastern and international folk dance for over a decade. 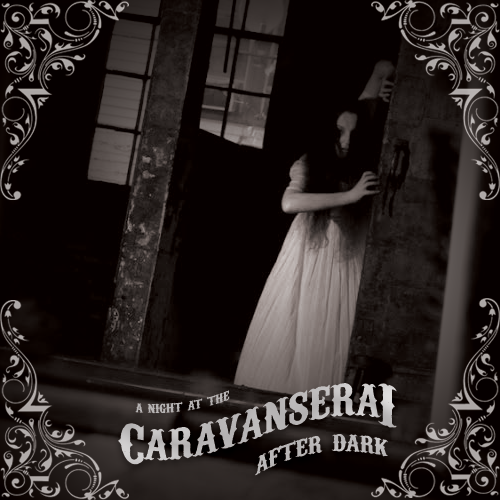 In Caravanserai: After Dark, she will be taking a departure from the joyful tone of these styles to explore something considerably more sinister. Kara Pender began belly dancing only a few years ago with a group called the PACK and then the Company of Gyspys. 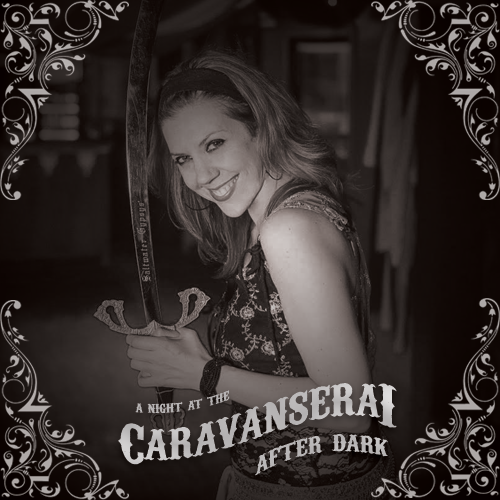 Kara especially enjoys dancing with swords. 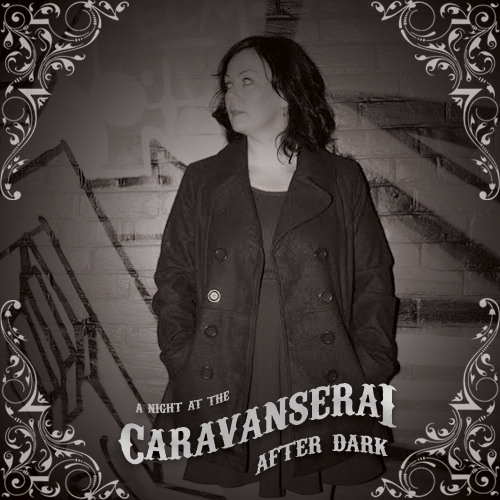 A self-proclaimed wallflower, tonight Kara is stepping outside of her comfort zone with an After Dark solo! 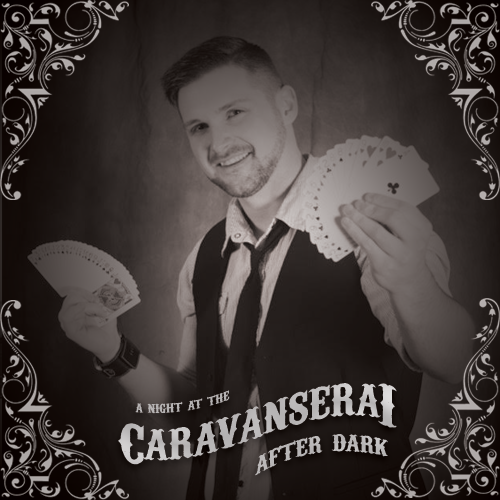 Michael Conway was born and raised in St. John’s and has been performing magic across Newfoundland since 2008. He started with birthday parties and has worked his way up to sold-out shows with large illusions at the Arts & Culture Centre. He blends classic tricks with original twists for a truly unique performance. Andrea Roberts will be teaming up with Seraka’s own Melissa Porter for a very special treat. Andrea and Melissa have been dancing since 2005 and 2007 respectively. 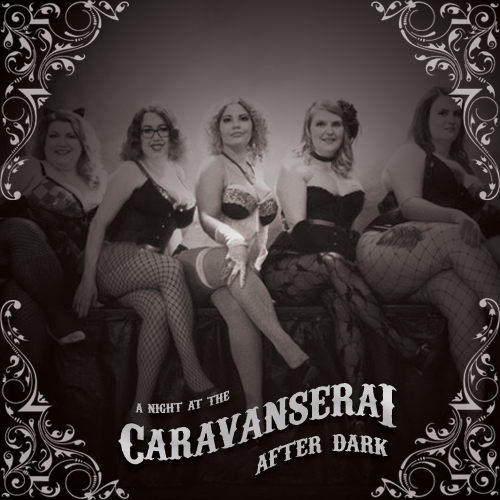 They haven’t performed together since 2013 and are excited to rejoin on stage for After Dark. Stephanie Moyst has been dancing for over 40 years. She is an accomplished performer, instructor and choreographer. Stephanie has studied ballet, jazz, tap and hip hop but her true love is contemporary. For her, contemporary is the classical styles of ballet, just colouring outside of the lines. She has taught students that have gone on to study with the National Ballet and the Alberta School of Dance, and coached students to award winning performances in multiple competitions in Western Canada. Her latest project is choreographer with KidzRockNL, the brainchild of Zack Werner, former Canadian Idol judge. Stephanie is delighted to be back performing again after a 2 year hiatus to recover from a back injury. Vivi Von Tease, Miss Kitty Fantastico and Tabitha Katz are the three felines behind Here Kitty Kitty Productions. They have more than 15 years of Burlesque experience collectively between them and have been active teachers, mentors and choreographers on the scene for years! 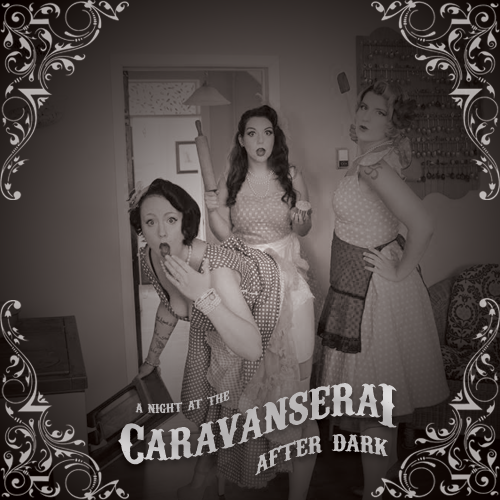 The kittens are three best friends who joined forces to create weird, wild and wacky worlds inspired by the things that they are passionate about and they could not be more thrilled to bring some of that patented weirdness to the stage for the Caravansarai! 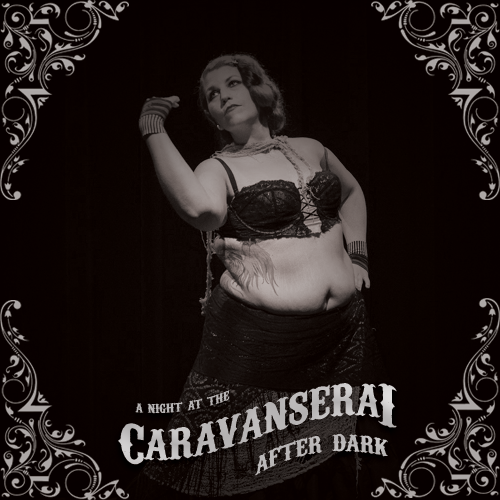 Sticky, sweet and with a temper that compliments her hair, Honey Fury has been tempting sailors off the coast of Newfoundland with her burlesque for the past decade. This siren uses not a song to lure men (and women) to their untimely demise, but rather the hypnotic ways in which she struts, shimmies and shakes her way across the stage. Legend has it that the mere sight of her legs has caused many a shipwreck (or at least a Screech-fueled bar room brawl). 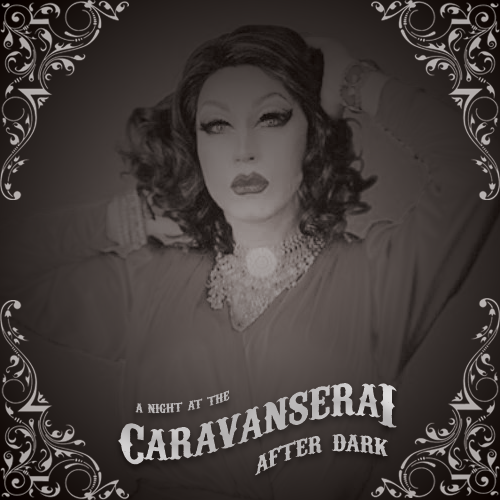 With acts ranging from classic bump and grind, to modern neo-burlesque, to comedic, to the downright weird, you never know what this Honey has tucked up her sleeve until its too late. The show will need a stage manager, 2 runners/kittens, and 2 people to work the door with tickets sales & wrist bands. If you’re interested in lending a hand, email info@seraka.com.